Dogs do not engage in unrewarding behavior. Dog training is mostly about making bad behaviors unrewarding. If we simply employ this principle, we can stop our dog from barking excessively. Dogs bark because it is a natural behavior. 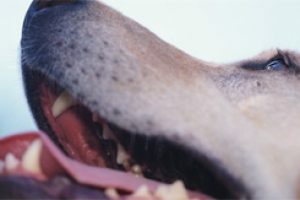 Barking is used to alert their pack of possible danger and to give warning to others. This natural behavior can go astray when the canine is bored, stressed or for various other reasons. An analogy would be overeating in humans. Eating is obviously a natural behavior. However, if we are bored, stressed or suffer from various maladies we sometimes overeat. Natural behaviors can become unnatural given a toxic environment. This is what occurs with your dog barking excessively. We therefore have a problem with a cause and a symptom. The cause of your dog’s barking is generally stress or boredom. The symptom is the headache inducing noise known as “excessive barking”. As your dog’s leader and personal trainer, you would strive to eliminate both the cause and the symptom. Both canine stress and boredom can be alleviated by exercising your dog. A tired dog is a good dog. Exercise both his mind and body. This can be accomplished by walking your dog and obedience training. Different breeds will need different degrees of exercise. If you have a working breed like a Border Collie, you will need large doses of work to drain his energy reserves. Less active dogs will need less work. 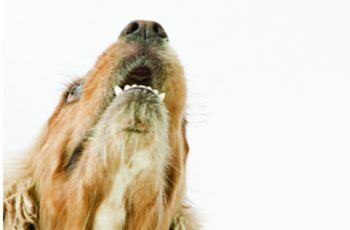 Unfortunately, it may take a great deal of time to reverse barking behaviors that have become ingrained. It would accordingly also be appropriate to address the excessive barking behavior directly. To do this would involve retraining your dog that excessive barking is unrewarding. · Create an environment where barking is unrewarding and quiet is rewarding. 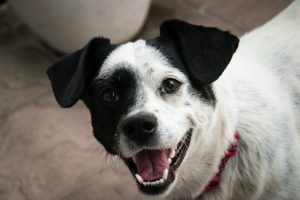 · Every time your dog barks inappropriately, go to him and command “NO.” Then, immediately, either spray him in the face with water from a clean spray bottle, or, give him a light, two-fingered pop on the nose. If you choose to smack your dog, keep in mind that your goal is not to inflict pain or injure your dog. You are only trying to ensure that his every bark is followed immediately by an unpleasant result. Be careful not to use too much force, and be especially careful dispensing punishment to puppies. The rule then is: Don’t hurt the dog. Just make sure that after each and every bark, he suffers an unpleasant result that is just harsh enough to cause him to want to avoid experiencing it again in the future. · Make sure that the way you smack the dog or whatever it is that you do to the dog after he barks, is something that he truly finds unpleasant. If he doesn’t mind what you are doing enough to want to avoid experiencing it again in the future, it is not going to work. · When the dog barks, go to where he is. Do not call him to you. 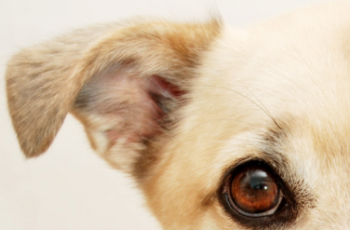 · Go to him immediately after he barks. · Go to him every time he barks, for as long as it takes, until he associates barking with unpleasantness. · Your punishment should be so consistent that the dog comes to perceive it as an automatic and inevitable consequence of barking. · When the dog is quiet, reward him with your presence and your affectionate praise. Finally, if your dog is aggressive, consider hiring a professional dog trainer to assist you. Rehabilitating an aggressive dog will often involve employing specialized knowledge and experience. I agree that irrational barking can be caused by boredom & that exercise both mental & physical is sound advice. As part of the re-training process and an easy step towards achieving a quieter life why not try giving your dog a calmer. Basically the dog is stressed. Why not give him stress relief in the form of a supplement? There are many available, try a google search or check out my web-site for just one example. I have a problem in that my dog only barks at night and i am losing a lot of sleep. it can range from intermittent barking to constant barking all night. what do i do? i cant keep going to him every time he barks or i wont get any sleep at all! i have considered getting a DAP pheramone diffuser?